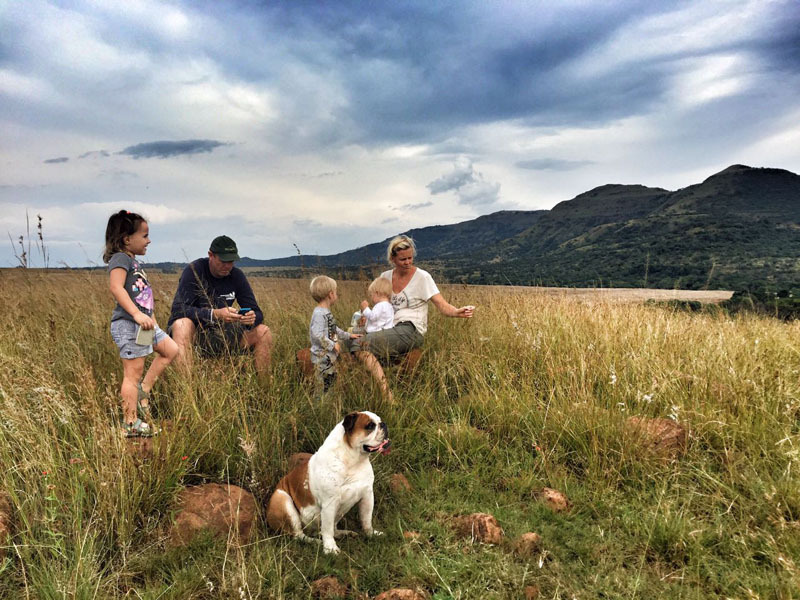 Walks are popular on the cattle and game farm. 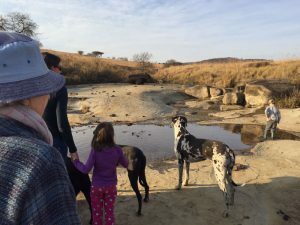 The tracks include a wonderful shady path along the Tugela River, and countless cattle and game paths on the game farm. 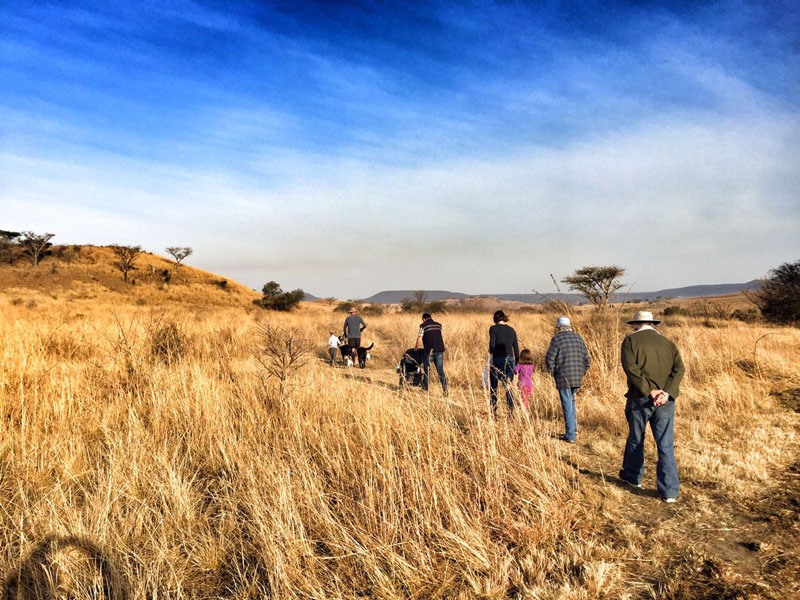 Game to be found here include Giraffe, Zebra, Impala, Kudu, Eland, Red Hartebeest and Warthog. Our bird list is in the region of 270 species. Boats are provided free of charge for use on the river. Life jackets are also supplied, and we encourage you to wear these. Fishing in the river is good, and one stands a chance of hooking carp, barbel, tilapia, bass or a scalie (KZN yellow fish). 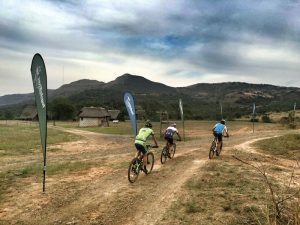 Mountain Biking and trail running for the experienced can be exhilarating. There are shorter routes suitable for less experienced riders. We do offer guided trips but need to be pre-arranged. Fishing rods are available for daily hire. 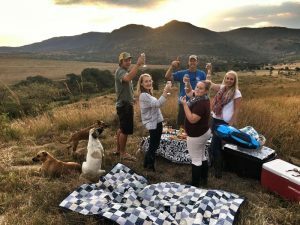 Spionkop Game Reserve is a 5 minute drive away. 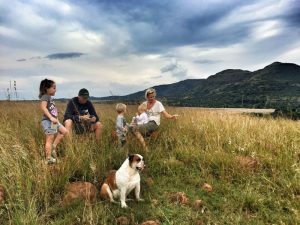 The Spionkop dam is central to the reserve and a wonderful place to waterski, swim and fish. 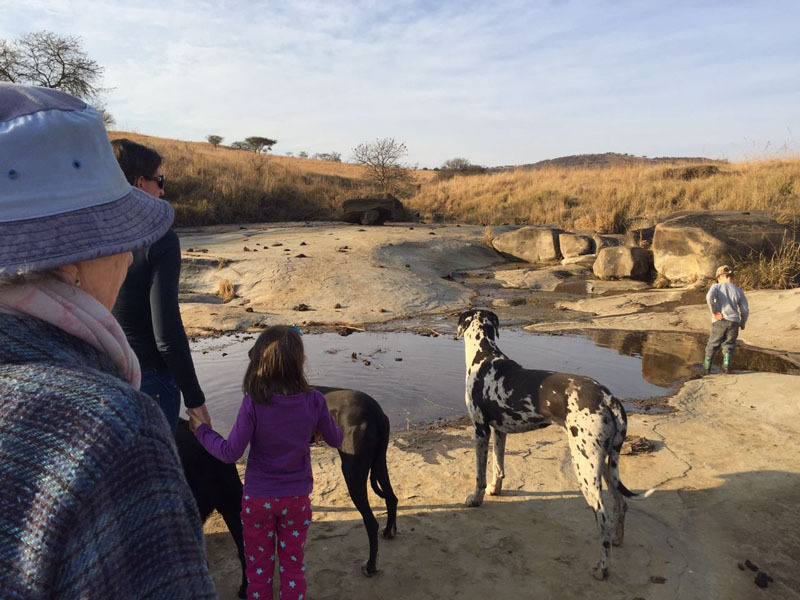 The surrounding Game Reserve, run by Ezemvelo, provides some great game viewing. White Rhino, Giraffe, Zebra, Wildebeest, Impala, Blesbok, Eland, Red Hartebeest and Warthog can be spotted. Horse rides on offer provide a unique game viewing opportunity and depart at 08h00 and 14h00 everyday. Minimum age is 12. Pre-booking is essential. The Battle of Spionkop is located a 20 minute drive from the Lodge. The graves and monuments provide a humbling reminder of this bloody Second Anglo Boer War battle. On the 24 January 1900 about 1500 English troops and a little more than 300 Boer soldiers were either killed, wounded or captured in this battle. The World Heritage Site of Ukhahlamba Drakensberg is well worth a visit. The Central Berg, Injasuti, Cathedral Peak and Northern Berg are all less than 1 hours drive from the Lodge. Hikes are popular and many outdoor activities are available too. These include golf, quad biking, canopy tours, scootours, bird of prey shows, Drakensberg Boys Choir, horse riding, helicopter flips and various adventure centers. 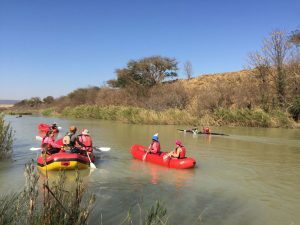 Rafting can be organised through Gustav Greffrath at ItchyFeet Sa.